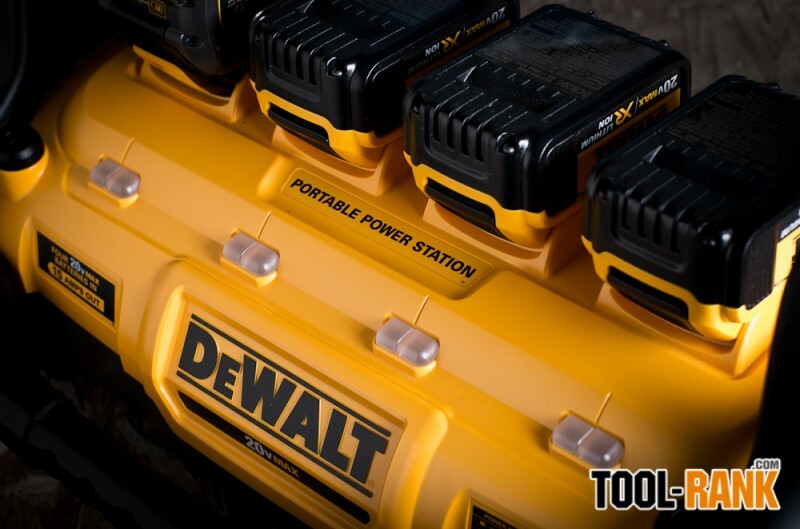 The DeWalt 1800-Watt Portable Power Station is somewhat similar to something you might already own, a portable power bank that allows you to charge your phone while on the go. They both work by pre-charging the batteries for electrical storage that can be called upon at a later time. 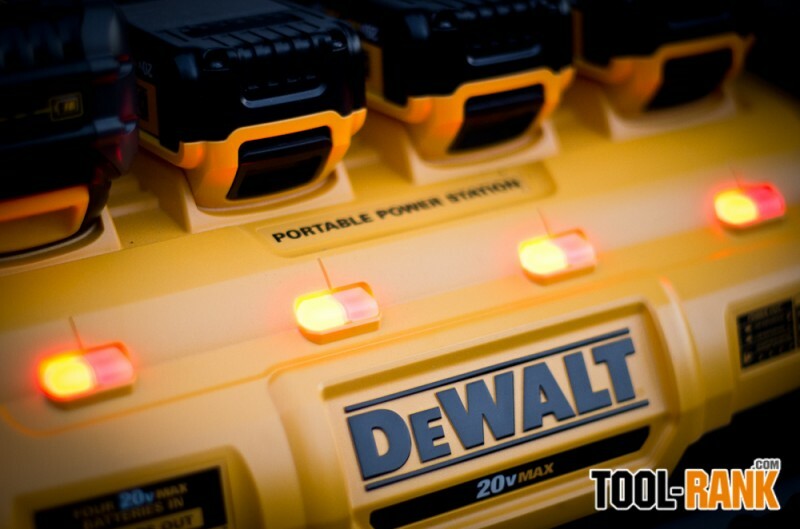 For the DeWalt, this means charging any combination of 4 of their 20V Max or 60V FlexVolt batteries to be used in their Portable Power Station. With a press of a button, the Portable Power Station then inverts the power of the 4 batteries into 120-volts of AC power, which can be used to power almost any device (up to 15-amps) that can plug into a standard household wall outlet. The question of how long a tool can be powered by the DeWalt Power Station is tough to answer because there are so many variables that have to be taken into account. The total capacity of all four batteries is going to determine the amount of energy storage the Power Station can hold. Lower 3.0Ah batteries are going to offer less runtime than larger 9.0Ah FlexVolt batteries. The amount of power draw coming from your tool is also going to be a factor. A power hungry tool like a table saw is going to eat through the stored up power faster than something like a fan. 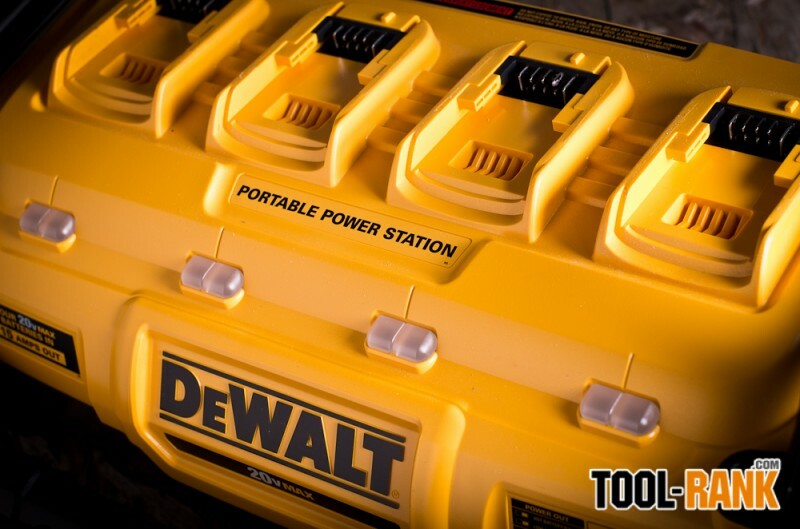 I think that during typical on and off use that goes on on a jobsite, the DeWalt Portable Power Station can make it to your lunch break, where you will then be able to get a jump on recharging it and get another few hours out of it. Unfortunately, it takes 2-hours to charge a 4.0Ah battery, so you need to take a longer lunch or plan for some non-power tool work. During part of my testing, I spent a good 4-hours on a project, using the Power Station with a router off and on throughout those 4-hours. By the end, I had only used up about half of the bars on the batteries. DeWalt mentions that some electrical devices will not work with the Power Station, and I imagine this is because the AC current is not a pure sine wave, it is a modified sine wave. In my testing, I didn't come across any tools that had a problem with the quality of power coming from the Power Station, though it is something you want to keep in mind. If your tool is sounding funny, it might not like the power you are feeding it. I tested the Power Station on a 7-1/4" circular saw, 12" miter saw, router, the full-size refrigerator in the house, and even my microwave. The microwave was the only one that sounded a little different running off the Power Station—but it still worked. 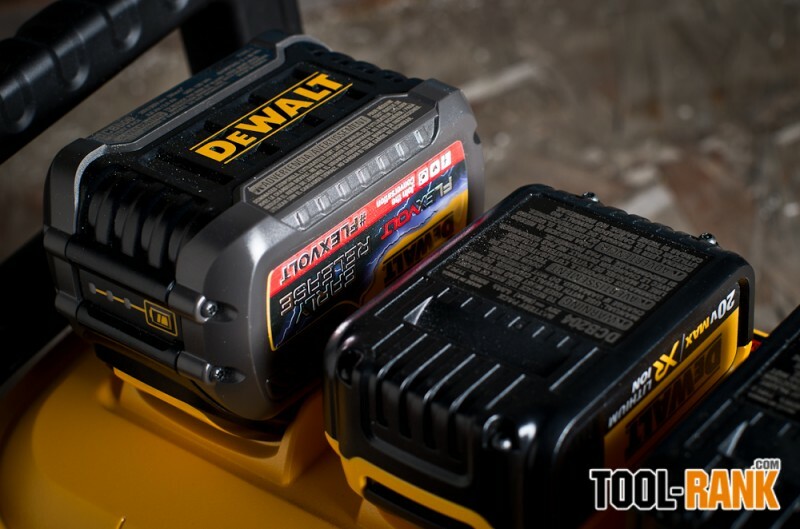 In addition to providing cordless 120 power when you need it, the Power Station also acts as a DeWalt battery charger. Since it runs off of 4 batteries, it is great to have the charger built-in and not have to turn to a second device to get all the batteries charged. Best of all, it charges all 4 batteries at the same time. 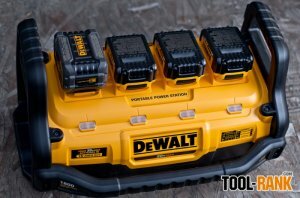 So, even if you don't need to use the Power Station every day, it would be handy to have around just to charge all your batteries at once, especially now that DeWalt has a new table saw and miter saw that run off of their 60V FlexVolt batteries. Design wise, the Portable Power station is about the same size a Tough System tool box, and it even connects to the top of Tough System boxes using the clips built into the lids of the boxes. This makes it easy to add the Power Station to your existing tools to take it on the go. It has handles in convenient locations that make it possible to move the 20-lb device around easily enough, and they also double as a sort of roll-cage to protect it from jobsite hazards. 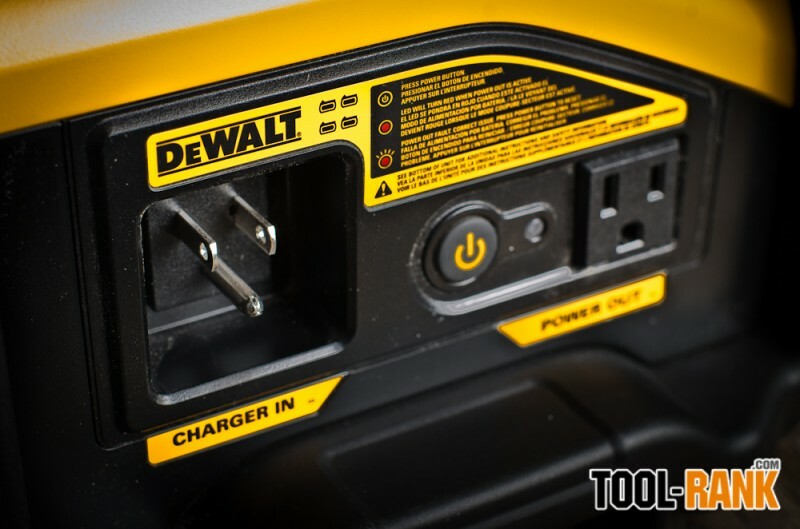 One thing I wish DeWalt had included with the design, was a way to store a cord onboard for charging the batteries. You need to supply your own cord for charging, and there is no good way to keep the two together. 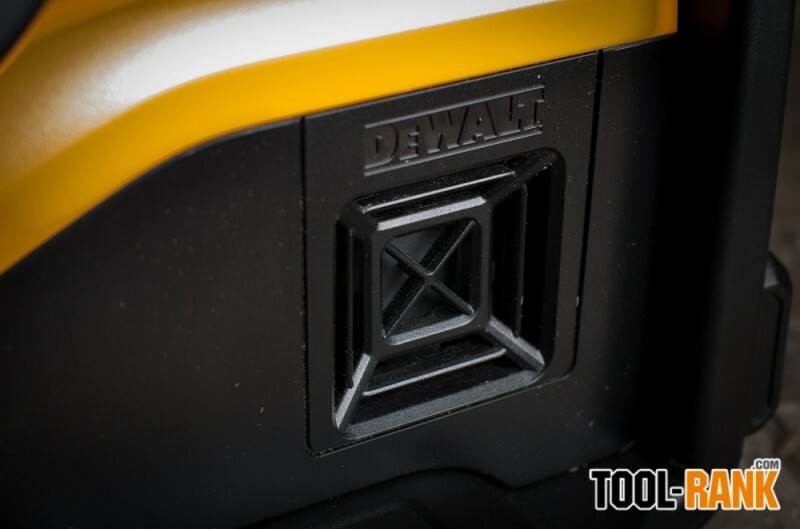 DeWalt could have easily included a power cord and added a cord-wrap to the back of the power station. 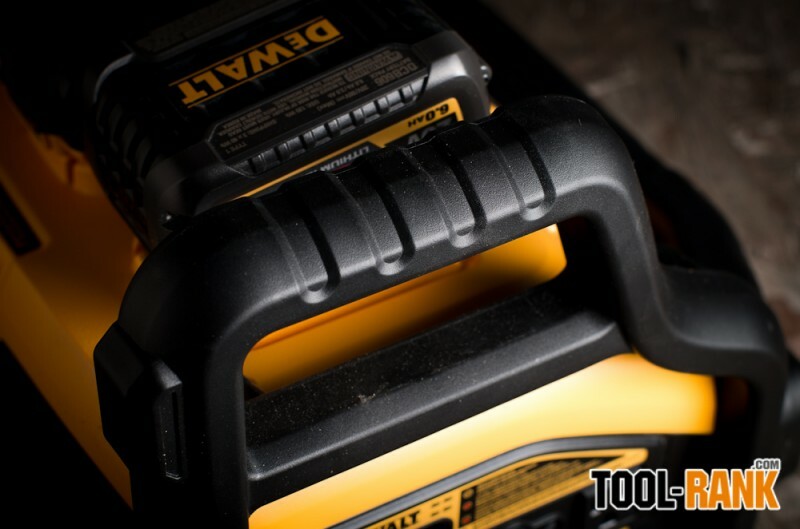 The DeWalt DCB1800 Portable Power Station and Parallel Battery Charger is not a tool that is intended for everyone, but it does its job well. 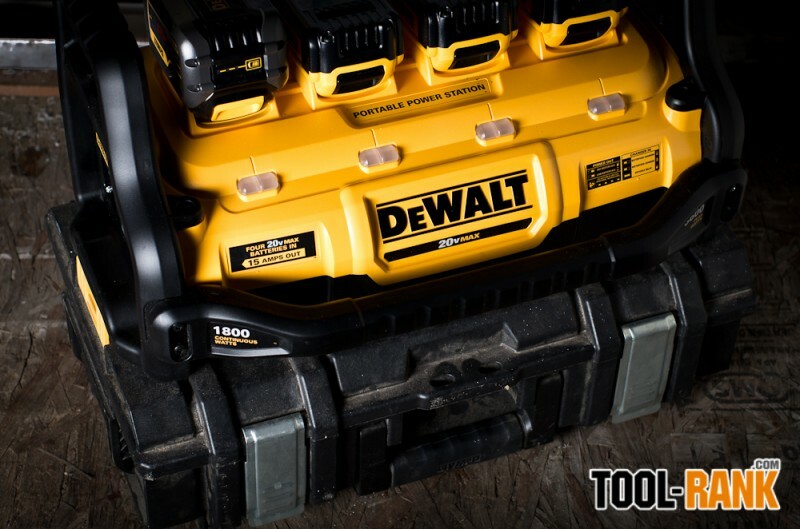 For $599 you can get the DeWalt DCB1800M3T1 Portable Power Station Kit that includes (3) 4.0 Ah & (1) 6.0 Ah Batteries. This is about the same price as a compact gas inverter generator, though the Power Station is still smaller and much lighter (by around 40-lbs); and again the Power Station can be used indoors. 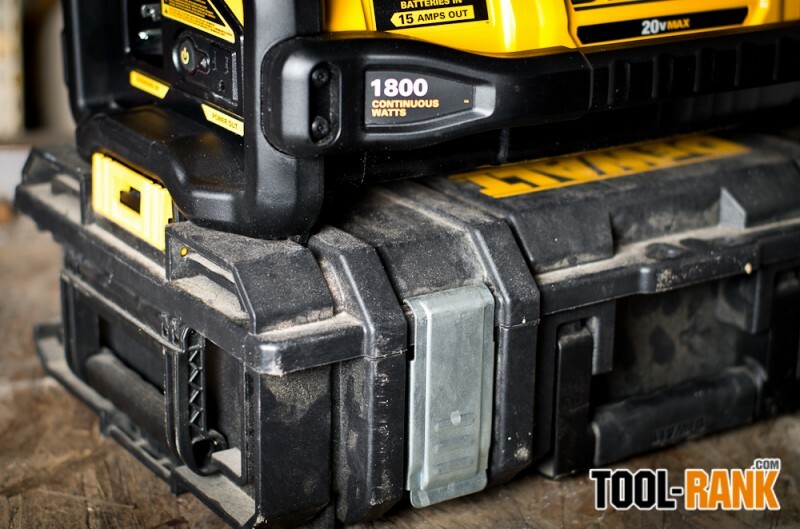 You can also get the bare-tool DeWalt DCB1800B Portable Power Station for $399, but the kit option is a much better value, plus you will want the extra batteries. The Portable Power Station is a great tool already, but it will only get better with time, as battery prices continue to fall and battery capacities continue to grow. To make it better tough, it would be great if it used a pure sine wave inverter. This would solve the compatibility issues with some electronics; but for right now, it might not be worth the price increase. Another feature that might be useful in a future model would be a remote control to turn on and off the inverter to save power when it is not in use.